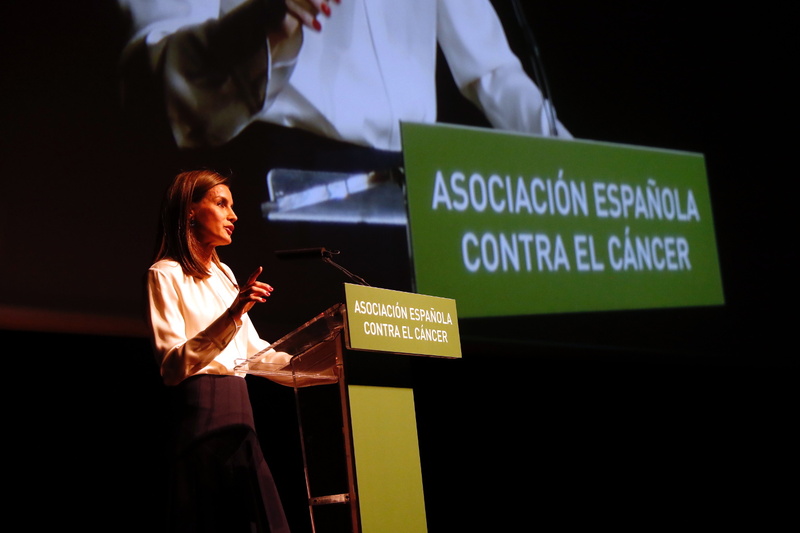 Her Majesty Queen Letizia, permanent honorary president of the Spanish Association against Cancer and its Scientific Foundation, chaired this informative day at Auditorium of the National Museum Reina Sofía Art Center in Madrid. 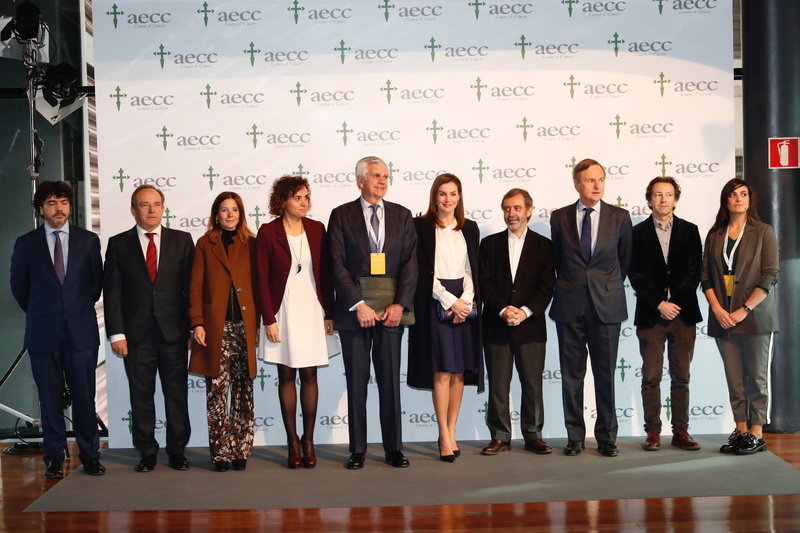 The event was organized within the framework of the events organized to mark World Cancer Day, on February 4 and in order to highlight the work of volunteering in the accompaniment of people with cancer and their families for a comprehensive quality care. 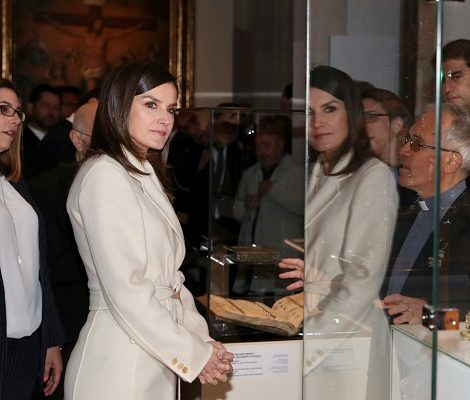 Speaking at the event Queen Letizia stressed the need for “the support of society that each patient and his family need after a diagnosis, as is the case of the character Mari Luz, wife of a patient, who in this theatricalization serves to transfer to the public the scope of the daily solitude of those, affected “. 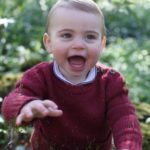 For the day, Queen chose very formal yet chic and stylish attire. 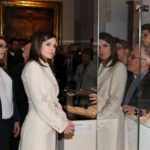 She debuted a new black coat that is yet to be identified. 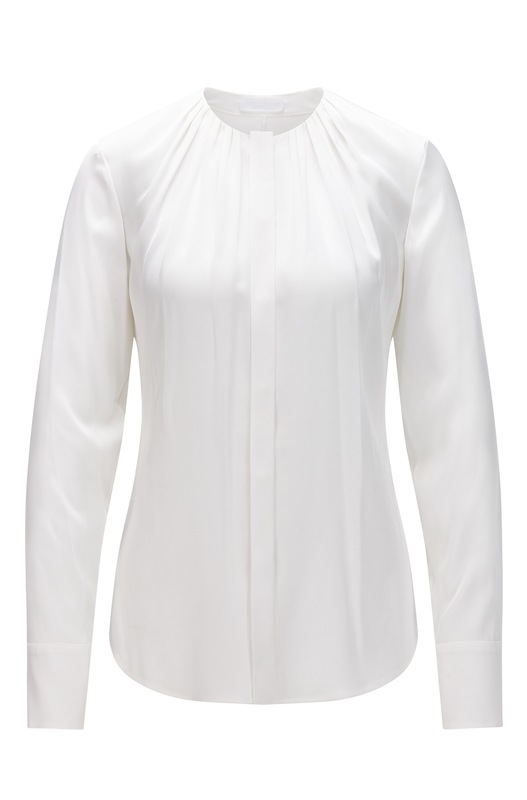 Underneath the coat she wore her Hugo Boss ‘Banora ‘ silk blouse. She also premiered a new skirt from Carolina Herrera. The knee-length navy skirt features pleats at the hem. 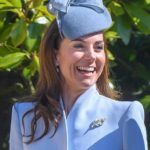 For the jewelry, Queen chose another label for her earrings. 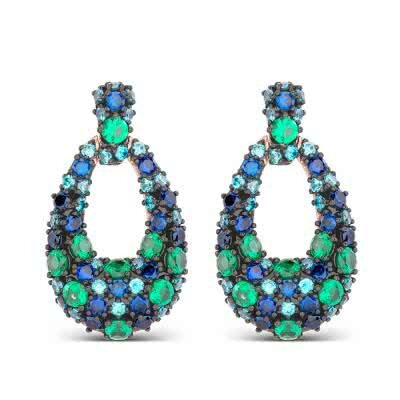 She wore Shi earrings made of rose gold-plated silver and full of emerald and blue topaz zircons over a tear shape from Luxenter. 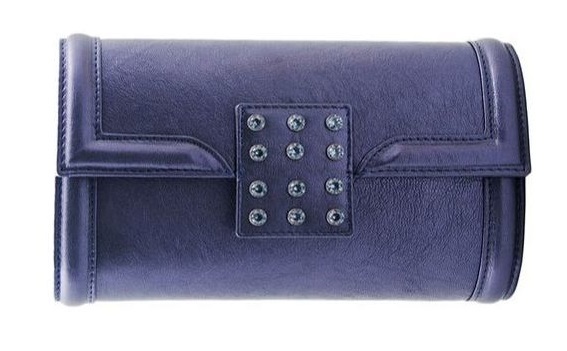 Queen carried her Felipe Varela ocean blue leather clutch with Swarovski crystals. She paired her outfit with Magrit ‘ Claudia ‘ bespoke navy leather slingback pumps.